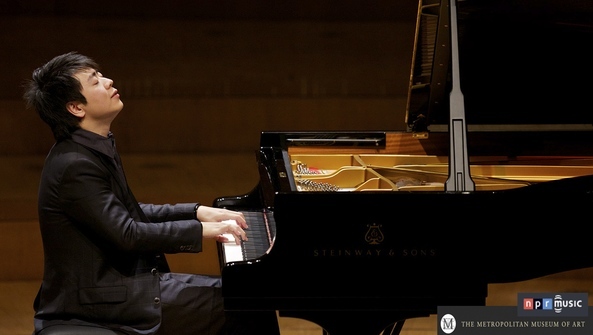 For more than half of his 32 years, Lang Lang has been in the spotlight, as an international star and arguably the most crowd-pleasing classical pianist on the planet. From venues as diverse as the Beijing Olympics and Brazil's World Cup to New York's Central Park and Stockholm's Nobel Prizes, Lang Lang routinely crisscrosses the globe playing to innumerable masses. Last month he filled London's cavernous Royal Albert Hall two nights in a row. ON Thursday, May 14th, the charismatic pianist lands at the Metropolitan Museum of Art in New York to perform a concert at 8 p.m. ET. The performance will be webcast by the Met Museum and NPR Music, and viewable on this page.